A saint with a story full of legends. San Petronio became the patron saint of Bologna in the first half of the fifth century. A saint with a story full of legends. San Petronio became the patron saint of Bologna in the first half of the fifth century. Very little is known about him. 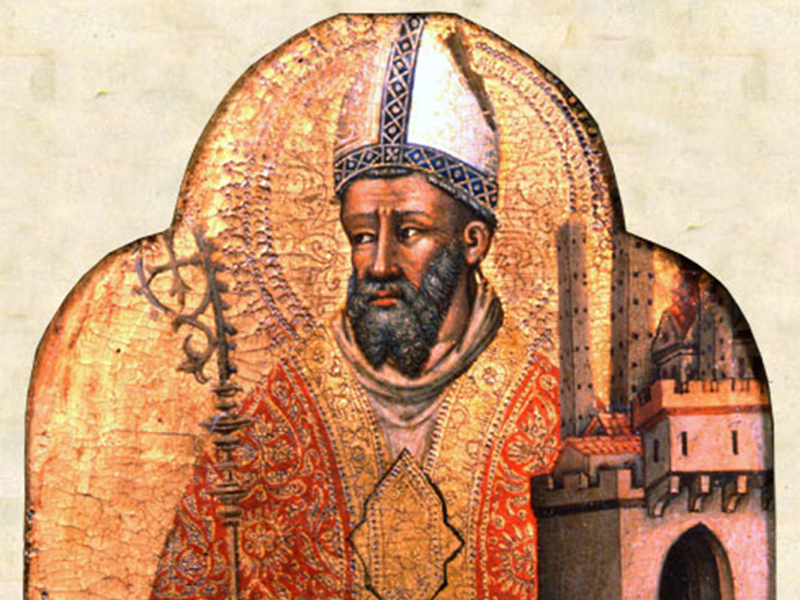 We know that he was born of a Roman nobleman who lived in Spain, who spent his youth in wealth, but then abandoned everything for a religious life, which made him bishop of Bologna between 431 and 450. He arrived in Bologna in the early years of 400 A.D. and he found it sacked and destroyed by barbarian invasions. The Bolognese were at the end of their strength and relied on the figure of St. Petronio who contributed to the recovery, building, among other things, the Basilica of St. Stefano. For many centuries nothing else about the saint was known, but in the Middle Ages the Benedictine monks of the st. Stefano Basilica found his tomb in the monastery. Various legends were then created about his life. In one of these tales of his journey to Jerusalem from which he returned with many relics, for example a column indicating the height of Christ, and a permit, obtained in Constantinople by Theodosius II, to enlarge the walls of Bologna and to set up the headquarters of the General Study, that is the University. From these stories, which mix myth and reality, the cult of the saint was born, seen as a civic figure who wanted only the good of the city and which guaranteed a period of peace and prosperity.